Jordfärgsset, 8 flaskor och 1 pensel. 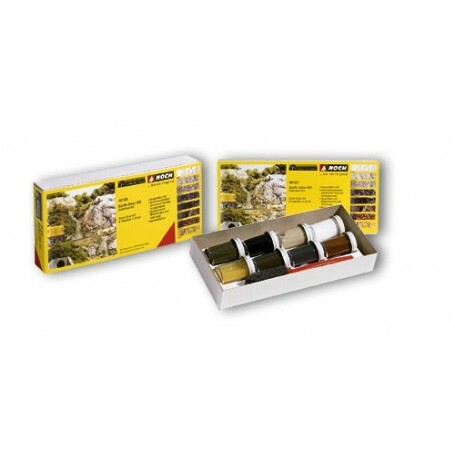 This is an amazingly simple system for staining rocks, terrain and plaster castings such as portals. Beginners get craftsman quality results. The Earth Color Kit includes incstructions, applicator, palette and eight 1 oz. Bottles of Earth Color Liquid Pigment ( hite, Concrete, Stone gray, Slate Gray, Black, Raw Umber, Burnt Umber, Yellow Ocher). Apply for paper, cardboard or plaster as well.